One hundred seventy guests gathered the morning of April 13th to hear from All Saints’ students past and present and to be serenaded by all students singing “Bright Happy Day” and “Every Praise.” Guests responded very generously donating and/or pledging over $225,000 toward Full Mission support and tuition assistance, including a generous lead gift of $50,000 by Weinstein Properties. A big thanks to all the students, parents and faculty/staff who helped make this success possible. 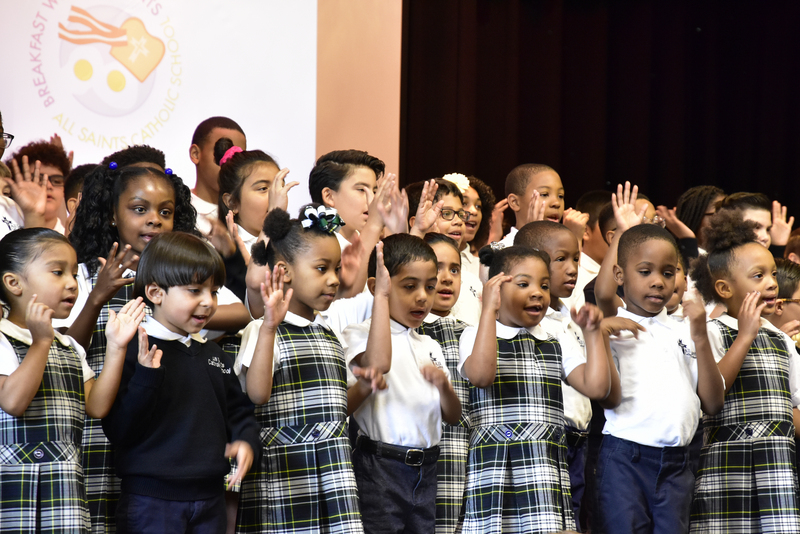 To see the video of kindergarten and 1st grade students answering questions about school, the future and giving, click HERE.